Power your pedals with Ojai the highest horsepower, most technologically advanced effects pedal power supply of its size. Ojai delivers clean, rock-steady power to your effects pedals in a lightweight and expandable package, giving you flexibility and room to grow. You get five high current, individually isolated, ultra low noise outputs, each with its own dedicated regulator and custom transformer. Each output provides a massive 500mA of current. 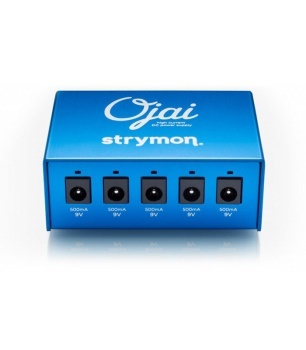 Ojai’s dual stage topology, pre-regulated outputs, optically isolated feedback, and advanced multistage filtering result in a power supply that allows your pedals to achieve their highest possible dynamic range.